ILEX opaca ‘Andy Bee’ 30’ Male PollinatorA new offering by Simpson Nursery, this American Holly male originated over forty years ago as a volunteer seedling retained in place by Bob Simpson. It has dark, matt finish leaves. 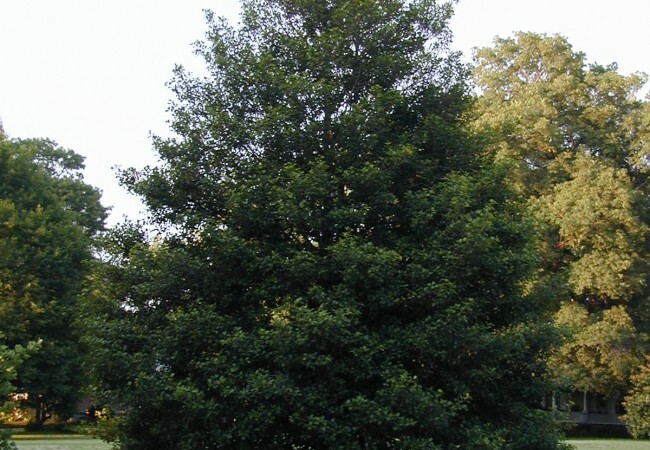 Dense foliage and attractive compact growth habit. 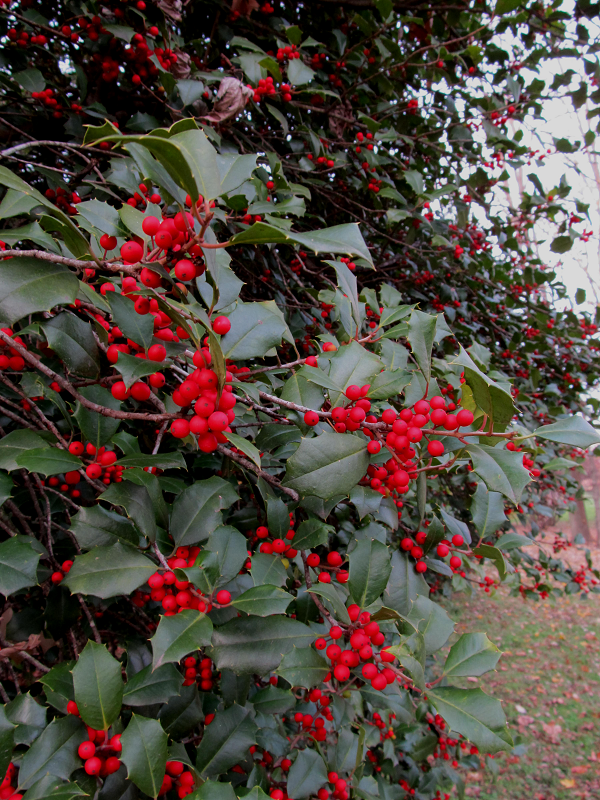 ILEX opaca ‘Chief Paduke’ 15’–30’ (Zone 5)A Bon Hartline introduction. Red to reddish-orange oval fruit. New leaf growth in spring, with soft spines, is bright yellow-green which stands out in twilight. 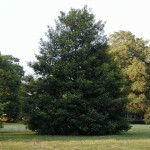 Later in the season, leaves mature into a leathery dark green. ILEX opaca ‘Long Tall Sally’ 60’ (Zone 5)A new offering by Simpson Nursery, this American Holly originated over fifty years ago as a volunteer seedling retained in place by Bob Simpson. Now sixty feet tall (and still adding height) ‘Long Tall Sally’ has a drip line of 15’. 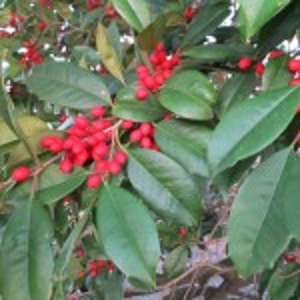 Produces masses of bright red fruit which are quite showy in winter. This cultivar has shown itself to be resistant to drought, including the catastrophic drought experienced in Vincennes, IN during the summer of 2012.